Conceptual and performance artists find meaning - or try to - in the unlikeliest of places, often taking mundane or obsessive aspects of life and applying an artistic different vision. One artist doing this is Rutherford Chang, who's based in New York and has previous works that include taking news articles and alphabetising them, with the goal of highlighting the language used. 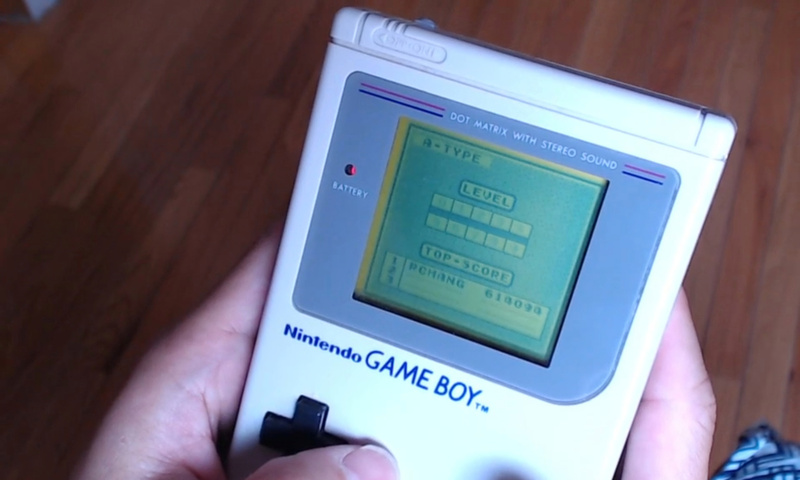 One of his ongoing projects also relates to Tetris on the Game Boy; he's trying to set the world record. So far Rutherford has the second highest score of all time - 614,094 - which places him above Apple co-founder Steve Wozniak and chasing Uli Horner's record of 748,757. 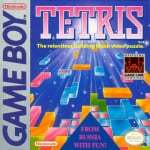 For Rutherford, though, playing and recording over 1500 attempts has an artistic purpose - he sees Tetris and his attempts at the record as a metaphor for capitalism. ...We're expected to repeat a specific task over and over and strive to be number one in our fields. It's the way capitalism makes us work, where you have to achieve more than others. It's endless, and it's for everyone. You can play what feels like a great game, but your score might not be impressive. Or you can lose based on one tiny mistake. Every 10 lines you complete, you advance one level and the pieces fall faster. Eventually they fall so fast that you can't keep up and you die. You can't ever beat the game. It's about squeezing in as much perfection as possible in this limited time before your inevitable death. We admire Rutherford's commitment, even if we don't exactly buy into the perspective he's trying to share - Tetris may be merely a simple puzzle game from an era of endless score chasers, after all. In any case, the artist will be live streaming his efforts to finally conquer the world record on 10th January, as part of a collaboration with Real Live Online. Until then you can see him set the second highest score of all time below. anything is art today. i commend the effort for this project, but not buying the concept completely. at least he's not putting eggs up his &#$$Y and plopping them out on a canvas in public. A pretty accurate metaphor too. Hang on... didn't this game originate in a communist country? And you're trying to make it into a message about capitalism? @allav866 Zut, someone was faster than me. Stupid metaphor makes no sense. Me, if the metaphor was true, then the metaphor tells of a good thing. Even if you die, the nearness to perfection would benefit others tonnes. After all, washing machines, freerers of women everywhere, were capitalistic pursuits. 748,757 can't seriously be the record. I remember maxing out the score and getting to level 30 a few times. "...strive to be number one in our fields.. where you have to achieve more than others. It's about squeezing in as much perfection as possible"
That sounds like psychopathy to me. How much capitalism encourages/benefits the pyschopathic trait is another question. I thought it was a metaphor for the inevitable demise of humanity in a zombie outbreak. (sigh) In the past, artists used to give us symphonies and masterpieces. Now, all we get are headlines. I thought it was an idea grown from communist ideals: you gotta arrange everything in exact order, even if not everything fits into said order. However, some time you run into a problem, try to fix it and spawn even more problems as a result. Would make more sense seeing as Tetris came from a communoist country. @Marlowe1877: Indeed. Working in an office is no more mindless and repetitive then working on a self-sustaining farm, or working for a business in a communist society. It's more about whether you're in the working class, or whether you're working as an artist, not about capitalism. When did Nintendolife become The Onion? Socialist always get scarcity backwards. They disregard it when it comes to spending other people's money. However, they do apply it to the creation of wealth, which in fact has infinite potential. Reminds me of that one meme about English Literature teachers. Line in book: "The curtains were blue." What your teacher thinks: "The curtains represent his immense depression and lack of will to carry on." What the author meant: "The curtains were freaking blue." Sometimes, you just want to make a puzzle game. Because you're Russian, that makes the game socialist propaganda? Is Bejeweled a metaphor for capitalism? Who cares? That's odd. I always saw my attempt at the Tetris world record as a testiment to the futility of life. Guess that's why I'm not a professional artist. ...If you'll excuse, I'm going to go laughing for a bit over how stupid the headline alone sounds. This comment section has revealed Tetris to be a metaphor for ALL SORTS of things! We're ALL artists! Very interesting, although I would change one crucial point: the increasing speed of Tetris does not solely represent Capitalism, but ALL economic systems which rely upon Growth, especially Infinite Growth. (Of which Capitalism is certainly a system which reveres and even worships infinite growth on a finite planet.) The solution is not what has traditionally been proposed (Socialism, Communism, etc), but a Steady State system. In Tetris terms, this would be the equivalent of being able to occasionally store and warp in Tetris pieces in any place at all, instead of only dropping down as they come, and having the ability to slow down the pieces once they got too fast beyond a certain point. Imagine how much easier Tetris would be if that were done. That's how much easier it would be for industrialized societies to continue living on this planet in the long term, using a limited growth economy, based on technological and social progress instead of economic and property/developmental forms of "progress." Growth (and especially Infinite Growth) based economies of ANY kind, not just Capitalism, are all a dead end, just like Tetris. Capitalism just represents the fastest level of free falling into ecological collapse, as well as the fastest level of free falling in Tetris. If you get a game over in Tetris, it represents your death. But if you get a game over at a higher level of play... It represents the death of Earth. @kshixson There is a fundamental conflict between economic growth and ecological protection. Wealth only has infinite potential in our imaginations. True wealth is limited to the natural resources that actually exist on our planet. Eventually, if we waste enough of them, they will run out. Supply shocks and extinction events would follow. This could apply to any arcade game that lets you have a high score. Idk what this guy is talking about. Not everything has a deeper meaning to it. @kshixson Yes, indeed there is not. If that were indeed the case, then shouldn't environmentalists be condemning the building of wind and solar power plants as they do with coal and oil? Granted, I have reasons to do so for both. @PlywoodStick Infinite growth is attainable in theory simply because infinity has no definite value. You could spend forever trying to reach infinity because you can't. A problem with a steady-state system is constant created value supporting a dynamic society and influenced by a dynamic environment. How is this a world record? There's tons of youtube videos online of people rolling the score at a million. @TheWPCTraveler Well, as you said, infinite growth is imaginary, it's unattainable. But that is exactly what our current economic systems strive for. Profit for the few over sustainability for the many, and generally ignoring natural limitations of how much abuse our ecosystems can take. I agree that simply replacing fossil fuel factories and nuclear plants with solar, wind, geothermal, hydroelectric, and steam/heat exhaust based energy collectors is not enough, because the methods we have of producing them still create a negative ecological footprint. We would simply be slowing down our rate of growth. We have to create and utilize new methods of renewable resource utilization, so that they can be reused for technical nutrients, and so leave behind a positive ecological footprint instead of the current negative ones. It's true that regrowth and seasonal environmental changes can dynamically alter the value of what is available at any given time. However, the laws of thermodynamics comes into play, which necessarily limits the total amount that can absolutely ever be available to us on this planet. The laws of thermodynamics are not something we can affect, we have to abide by them, because they impose hard limits on what we can do. We cannot produce beyond their limitations, and all natural resources are affected by them. If we ignore that, then we will inevitably experience supply shocks and extinction events. No more resources, no more economy. We have to adapt ourselves to what the environment can support, and create technologies and products which emphasize creating a positive ecological footprint, because otherwise we will experience negative feedback in the form of Entropy. If we continue trying to adapt the environment to ourselves, again, thermodynamics will come into play, and trying to simply lower our negative ecological footprint will not be enough. We have to set hard limits of how much growth we have to survive in the long term. @kshixson As you said, it's not always the case. Higher growth policies without limits, especially talking about production which generates what we interpret as being worth billions and trillions of currency, inevitably creates ecological strain and entropy, then supply shock, and eventually collapse. No resources, no economy. All resources are finite, and there is only so much regrowth, recharging, and recycling we can accomplish at any given time, due to the laws of thermodynamics. So...If natural resources are controlled and dolled out by the state, this would solve our energy problems? @kshixson Erm... I'd say is RARELY the case, and I'm being optimist. About the video, I would have watched it for more than 30 secs if it had some good BGM. I don't know, "Money for nothing" seems fitting enough. @kshixson Completely state controlled resources are not an ideal setup for a long term plan, because whoever controls the state (which is usually whoever has the most money, and butters up the most most money into the state's pockets) would control resource flow, usually towards their rich buddies. However, that is inevitably what humanity will be forced to live with 50 years from now, if we keep going as we are. It would be better to have the state only function as an arbiter: providing means of protecting and preserving environmental resources (which is inadequate right now), actually doing their job of regulating how much individual companies in the market are allowed to extract at a time (the more powerful companies rarely have any significant limitations right now), putting more emphasis on supporting smaller businesses (larger ones are primarily supported right now), actually preventing antitrust laws from being broken, while preventing monopolies (which is not truly done any more, if the recent Pfizer merger was any indication), and perhaps most importantly, valuing the will of the constituents above the will of political donors and lobbyists (a notion which McCutcheon vs FEC and Citizens United vs FEC have all but eradicated in the USA). In other words... The current system is doomed, one way or another. It must change, but it won't tolerate change from within. It will die out, because our rate of growth won't last forever. A new system will take it's place. What that will be, I cannot say. I can only hope it will not be too authoritarian, although I know it has been human nature succumb to such a structure. Plywoodstick, where did you learn ecological economics? I don't often come across people on the net yet who are well versed in it, especially on video game hobby forums. It would be nice to talk to you further. Years ago, I had a friend that called himself an "artist" because he made "art". Really, what he made was uninteresting, narcissistic crap that he slapped a super-expensive price tag on and added a pretentious description that inevitably makes the viewer ask the question "am I being fooled into thinking this joke is art, or is this fool's art just a joke on me?" (unless the viewer was one of his pretentious artist friends who also create crappy art for the sake of calling themselves artists). This "Tetris world record as a metaphor for capitalism" project totally reminds me of the kind of stuff my friend would do. If you want to set a high score in a game, then great, do it! Do it for the fun of playing the game and out of respect for the people who made the game and the other people out there chasing high scores. Don't do it so that you can attach a barely-logical meaning to it that makes you look like a revolutionary thinker and a brilliant artist. @Shyguyanonymous I don't have formal training, but I've been reading material by Brian Czech and others; and I've started getting involved in the local third party and government hearings. It's funny, I first learned about it's existence in a video game called Alpha Centauri... Which takes place starting in 2100. It sure feels like it's going to take that long to get going with it! @PlywoodStick Well as far as I know, any sort of comprehensive formal training (starting at the undergraduate level) still does not really exist anywhere in the world. It's by and large self-taught. I'll have to check out that video game sometime. And yes, 2100 is about the timeline we're looking at... perhaps a little sooner when people really start to panic.